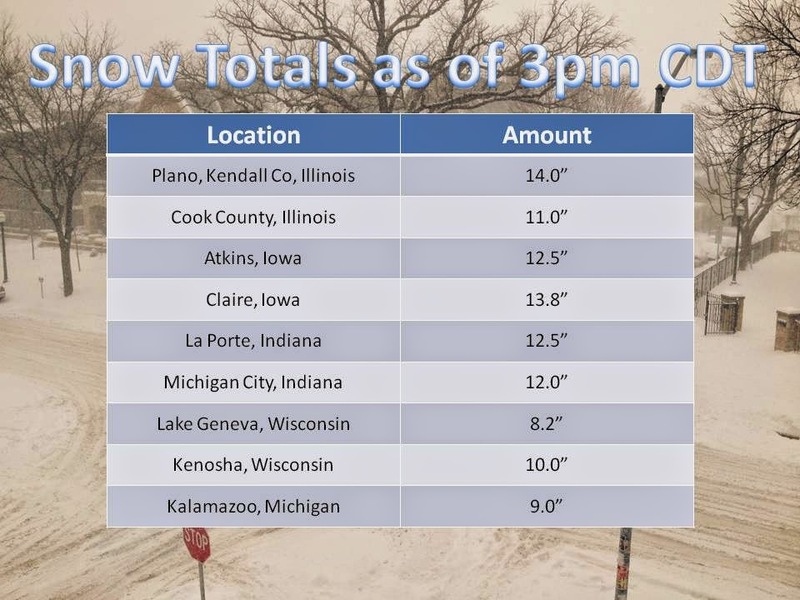 Here are the latest numbers in from your reports and NWS observations. Thanks for those who sent thier reports via social media. The forecast looks like it will hold. Will be very interesting to see if we can squeak out a 20" amount in northeast Ilinios, as we stated was possible in a prior post with the heavier lake enhanced bands. Take it easy if you must travel to those Super Bowl parties this afternoon. Snow emergencies have been issued across several states, meaning parking on city streets may warrant a ticket. Let the plows do their work.